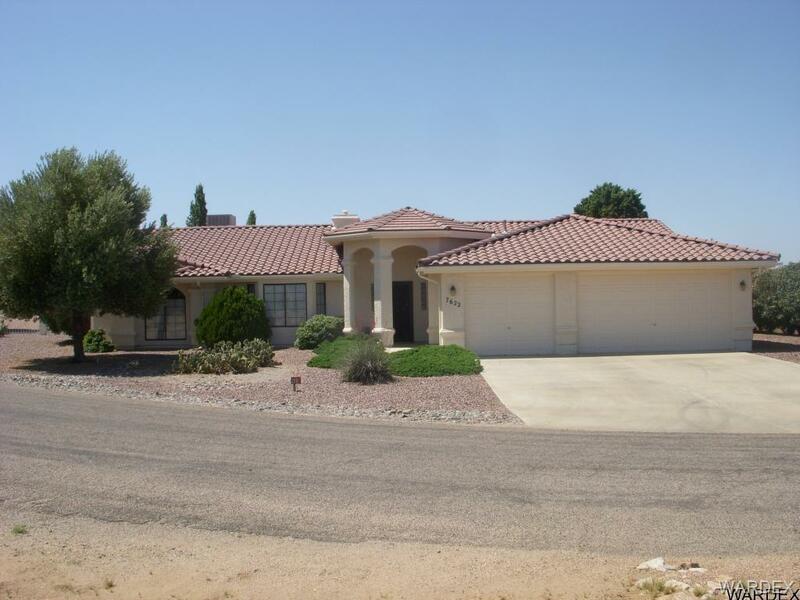 Beautiful Custom Home Located By 18-Hole Championship Golf Coarse In Valle Vista. Also Included Is An Adjoining Corner Lot Across Street From The 5th Green , All Utilites Accessible To Property. Home Has Been Recently Painted Inside And Outside. 3Bdrms/2Full Ba ,Two Fireplaces, New Stainless Appliances, Reverse Osmosis System In Kitchen, Huge Master Suite With French Doors To Spa, Large Bath With Dual Sinks, Shower And Jetted Tub, Walk-In Closets. Arizona Room With Door To Large Enclosed Patio. Big Laundry Room With Skylight ,Washer And Dryer Included. Garage Features 8' Entry Doors, Built-In Storage And Work Bench. RV Parking With Hook-Ups And Dump. HOA Management Company Name: Valle Vista Home Owners Assoc.